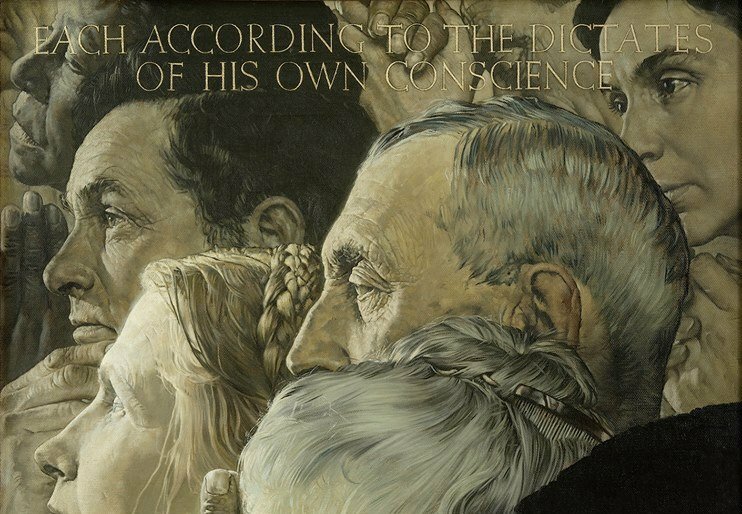 Norman Rockwell: Imagining Freedom will stop at the Denver Art Museum May through August 2020. American Life was never so intriguing as when Normal Rockwell illustrated the moments of everyday life. While some of the pieces were considered kitschy, and he never received high acclaim from the critics, Rockwell was prolific and his ads and Saturday Evening Post covers were an inspiration to many. 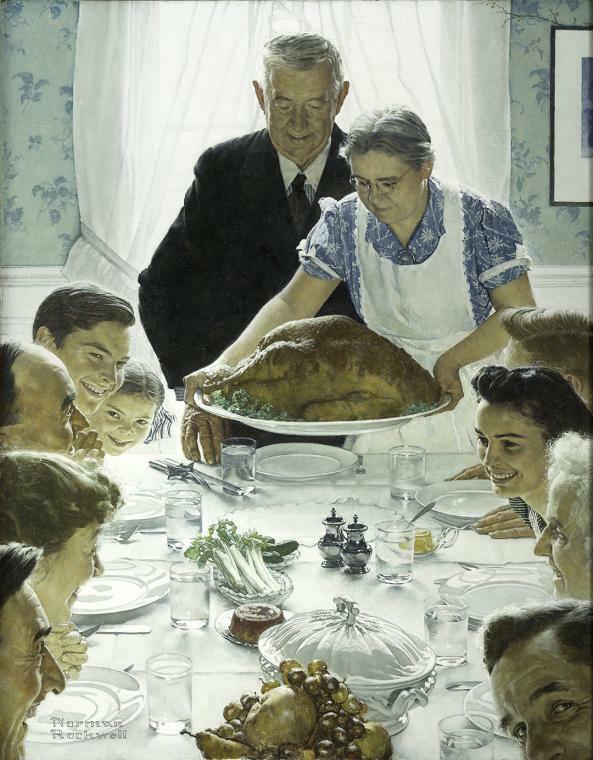 But it wasn't all sentimentality and Sunday dinner with Rockwell. His work was politically charged at times, putting his artistic spotlight on racial inequality, freedom, and more. The Imagining Freedom exhibit will showcase the other side of Rockwell, featuring his contributions to a 1940s government-fueled, artist-lead propaganda campaign preparing the country for war. The exhibit is focused on the artist’s 1940s depictions of Franklin D. Roosevelt’s Four Freedoms. Popularized by Rockwell’s interpretation following President Roosevelt’s 1941 speech, the freedoms include the Freedom of Speech, Freedom of Worship, Freedom from Want, and Freedom from Fear. Rockwell was one of many artists, singers, actors and more that took up the mantle in the 1940s to visually communicate the notions of freedoms in support of war efforts. His works were run in the Saturday Evening Post to acclaim and were later used by the U.S. government to represent the nation’s Four Freedoms to promote war bond efforts. Not only a testament to his work, but the exhibit also displays how widely read publications of the day influenced the beliefs of a nation. The exhibit will also feature post-war work that focuses on civil rights, human rights, and equality for all. Norman Rockwell (1894-1978), Freedom from Want, 1943. Oil on canvas, 45 ¾" x 35 ½". Story illustration for The Saturday Evening Post, March 6, 1943. Collection of Norman Rockwell Museum. Nick Offerman is coming back to Denver in December!